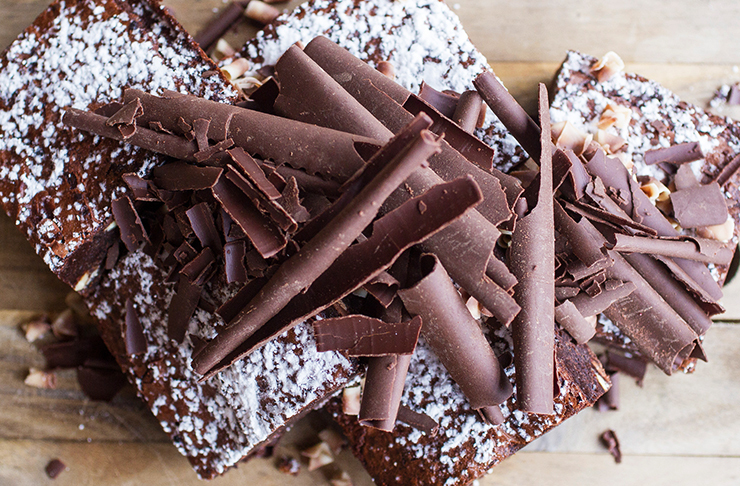 When it comes to cute cafes serving mouth-watering food, Auckland has got it goin’ onnn! However, sometimes we stumble upon a gem that is next level awesome. Located in Greenhithe, The Collins is one of North Shore’s finest cafes. Housed in a cosy renovated villa, the bustling café is your one-spot brunch spot! Think life-changing French toast, eggs bene perfection and an ever-changing waffle menu. Sound like a bit of you? Here’s why you need to eat your heart out at The Collins Cafe & Bar. This North Shore gem does it all and has it all! Be it brunch with the gals, lunch with the whānau or a Tinder coffee date, The Collins is perfect for every occasion! There’s an outdoor courtyard, all-day brunch menu and a bar serving R18 bevvies…what more could one want? Kids will love the Collins Park playground across the road, while there are water bowls and dog treats for your fur child—amazing! If you thought you knew French toast, think again. The Collins has taken the deliciousness to a whole new level with their Southern-style creation. 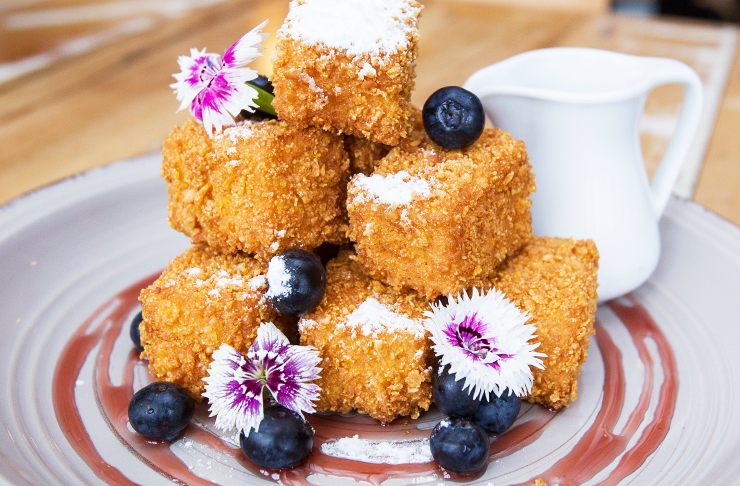 Think cubes of brioche bread encrusted with macadamia and cornflakes—amazing, right? The morsels of happiness are perfectly crispy on the outside, yet soft and fluffy on the inside. French toast doesn’t get better than this! We must make a special shout-out for The Collins’ signature waffles. The Belgium-inspired waffles change weekly so you never know what you’re in for—but we promise they’re delish! Previous creations have included apple pie-esque waffles with butterscotch sauce and chocolate crumb. We devoured waffles with strawberry compote, vanilla mascarpone, bacon and a generous drizzle of maple sauce—yum! This Is Healthy Eating At Its Tastiest! Rest assured, there are also plenty of healthy (but delish!) dishes. The aptly named “all the good stuff” protein bowl is brimming with grilled chicken, edamame, bean sprouts, pickled carrot and raw beetroot. The fattoush salad stars roasted capsicum, cherry tomatoes, feta and cucumber topped with mustard vinaigrette. Wash it down with a green delight smoothie and you’ll be away laughing! Sometimes you just can’t go past a decent eggs benedict. Thankfully, The Collins has not one, not two but three eggs bene options. Served on a toasted bagel, choose between smoked bacon, house-cured salmon or field mushrooms. They serve the breakfast fave with sautéed spinach and lashings of the all-important hollandaise sauce. Sorry Mum but we’ve got a new fave! The Collins’ cabinet features homemade goodies made by the resident pastry chef. The cakes are all about carrot, red velvet, feijoa crumble and a gluten-free pistachio and lime number. Cakes aside, you’ll also find tarts, muffins, brioche, slices and all things tasty! The ever-changing goodies will have you coming back again…and again and again! Brunch isn’t complete without a coffee—it’s an unwritten rule! Whatever your caffeine preference, they’ve got you covered with latte, cappuccino, mocha, Americano, macchiato…the list goes on! They’ve also got Harney & Sons teas, smoothies and a range of juices. For something “stronger”, The Collins’ bar is well stocked with wine, beer and spirits. Experience the deliciousness for yourself at The Collins Café & Bar. For more details, including opening hours, click here. Editor's note: This article is proudly sponsored by The Collins and endorsed by The Urban List. Thank you for supporting the sponsors who make The Urban List possible. Click here for more information on our editorial policy.